Looking for more Fighting Irish news? Than it’s time to check out Mike Frank’s Irish Sports Daily. Mike is running an incredible offer for new customers. Check out this link for more information. You can check out the first 30 days for FREE!. FREE. THAT WORD AGAIN, WAS- FREE. Just try it out. You won’t be charged a cent for the first 30 days, and if you aren’t satisfied, you can cancel after those initial 30 days and not be charged. So follow that link in the above paragraph, and follow Notre Dame like you have always wanted to. 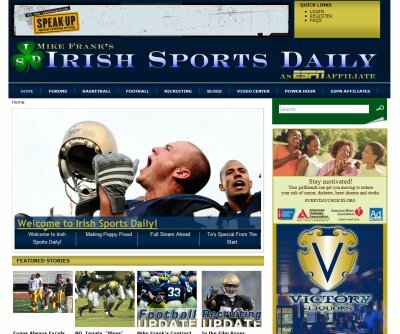 If you didn’t know by now, Mike Frank has made the move from Scout.com/Irish Eyes to Irish Sports Daily, an ESPN affiliate. Nice job Mike. The only common opponent with ND in 2008 was Hawaii. Nevada lost 38-31. Nevada’s wins: Grambling State, UNLV, Idaho, Utah State, Fresno State, San Jose State, Louisiana Tech. Record against BCS teams: 0-3. Average score in the three losses against BCS teams: 48-23 (Texas Tech, Missouri, Maryland). Record against Top 25 teams: 0-3. Average score in the three losses against Top 25 teams: 48-23 (Texas Tech, Missouri, Boise State). Average win-loss record of the teams that Nevada beat, not including Grambling State: 5-7. Record against Bowl teams: 2-5 (wins were against Fresno State and Louisiana Tech). There comes a time in every college football fans life where one decides where to get their info from. With so many options out there on the Internet, TV, and in print- you may not know what is the best source. Well, I’m here to tell you what I think… and quite simply it is Irish Eyes with Mike Frank on Scout.com (link is on the right). You can debate the differences between Scout and Rivals if you must, and I have subscriptions to both, but on a purely Irish Football basis- you can’t get any better. One of the best things about IE is its message board and the posters it contains. Some of these guys are HS coaches and help out with explaining the game itself in a series of videos known as Football 101. Along with that, they do a great job of breaking down the team. I was going to post a rundown of how the team is progressing this week, but I thought I was going to the coaches clinic so I could get a better grip on the team itself. Unfortunately, I was unable to make it and felt stupid if I tried to do it after only seeing small clips and regurgitate what has been posted by others that did attend. Instead, I asked for, and received permission from Mike Frank to post what the board coaches thoughts were on the team. This is straight from the message boards at Irish Eyes. This is just the tip of the iceberg! Sign up today and see the difference. Tenuta’s three main points: 1) stop the run. 2) Cover the pass 3) pressure the offense. How does he do this? These are the two main beliefs in the JTenuta world: CONFUSE THE FRONT FIVE, AND NEVER LET THE QB SET HIS FEET! Tenuta’s blitzes are very run sound. I don’t worry too much about getting bladed on the run. It’s harped on quite a bit. He stressed one thing that I found not only interesting, but vitally important at the college level: know who is blocking you. I know what I looked for in film study as a DB and WR, but this makes sense to me if I would have been a LB. Sure you need to know your gap responsibility, the opposition’s favorite plays out of certain formations, their tendencies due to down and distance, etc. But if they take that study to the next level, not only knowing those basics, but also who is going to block you on each of those particular plays, that makes sense to me. 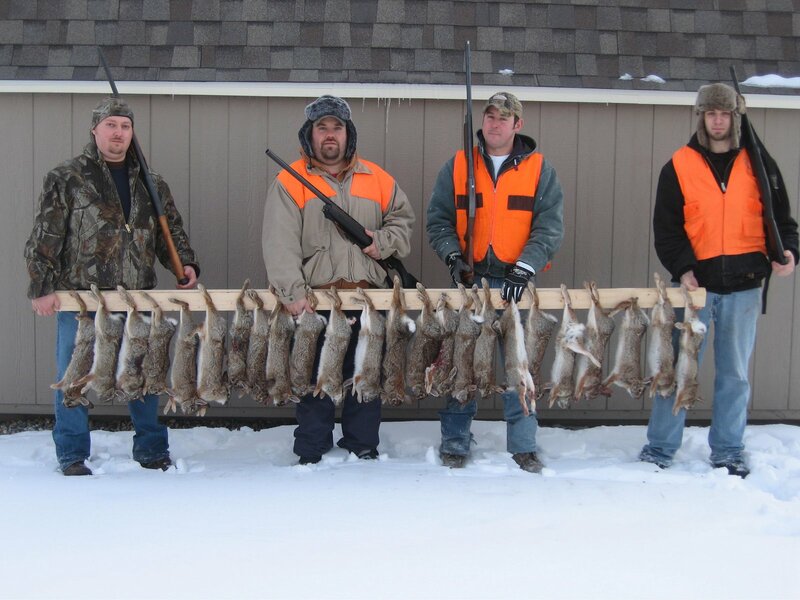 the second session was Parmalee or Powlus. I’m a big fan of Powlus, I had a great, long talk with him last year at the Indiana HS coaches’ clinic, but we’re a wing-T team, and Parmalee would have more info for me, so that was my choice. Nothing earth shattering, but good stuff. As I’ve stated often, I’m a passing game guy. Don’t get me wrong, if we can run the ball all game and win, I flat out love that stuff. Bettis in the cheerios bowl was about the best thing I’ve ever seen. But I call our team’s passing plays, so I was hoping for a tip or two to help Busco Football. I was lucky enough to learn quite a bit about inside zone football. We don’t do any of that here, so it was interesting. Coach Parmalee talked about one back and two back running plays, and the uses of multiple TE’s or H backs in these strategies. It became clear that the more TE’s and H backs, the bigger the threat of the pass. A FB can only threaten the defense in the flat (most of the time), while an extra TE or a H back, until he motions in front of the TB, keeps the defense worried about a vertical route, or at least a 10 yard route. Anyway, very good stuff from Coach Parmalee. He still has two sets of shoulders (his neck is a stair step, from his neck, to his traps to his delts), and he’s a very motivated, spirited guy. Not that anyone cares, but I got a great play action pass combo we can use here in Smalltown USA. The next session was Coach Haywood or GA Pat Graham on DL (remember, Jappy was with Wade during his unfortunate situation). I chose Haywood, as Parmalee had me interested in the ND running game. Coach Haywood made it clear fairly early that the days of the fullback leading the tailback up the middle on an ISO were long gone. The size, speed and athleticism of most defenses have made this a thing of the past. Of course, that makes sense as we look at so many teams who have switched to spread offenses to make the running game more of a 6 on 6 than a 11 on 11 situation. Coach Haywood went over several different one back and two back running plays. In the two back plays, the FB sealed off the backside DE about 75% of the time, which makes sense, in case the opposition’s ILB’s are keying the FB (they normally key the guards nowadays anyway). In the one back runs, there was often a H back in motion, responsible for the block of the FB. In our clinic book, the last few plays are in fact ISO’s, with the FB leading on the MLB, which I think is a great idea. If we’re playing an inferior opponent, it’s always a good idea to show our strength and flatten the defense. The shortest distance is a straight line, after all. Clausen, bigger, stronger, much more zip on the ball. He exhibited the accuracy that will make him a record breaker at ND providing he gets the help from the OL and the receivers get open. Several throws JC had to make were right in the box where only the receiver could make the catch. Several times the DB’s had great coverage, but he zipped it in there and there was nothing the DB could do but tackle the receiver. I still feel that Hughes is a better RB than Aldridge, but Aldridge ran harder than I’ve ever seen him run. Ah that magic word….competition. Allen’s speed and the fact he’s a better zone runner than the other two keeps him in the mix. Saw both Aldridge and Huges in the backfield at the same time in split backs, something I’d like to see more of. They only passed out of that set. I’d have liked to see how they run and block for each other in that set. Grimes got open most of the time. Much more impressive than Kamara today in the live go round. No TE on scholarship played. OL…hard to tell. Like I said last year this is something you sometimes have find out (for the DL too) when you play another team. I will say that the OL seemed a lot more physical that they were in last year’s practice and scrimmage. They also seem to be more involved in supporting each other, encouraging each other, and getting fired up when one dumps a defensive player. TR’s is certainly a T Rex. I’ve never seen such arms on a freshman, and that was from a foot away. For a kid that would normally still be in HS he did very well. Mike’s Bemenderfer is giving Wenger a battle for the center’s job from what I saw the past two days. Duncan had his moments. good and bad, I’d worry about him being consistant. The nutcracker drill, called Irish Eyes at ND, was the second best highlight of the practices. A lot of this drill is showing your manhood, plain and simple while trying to block or tackle. A few of the backs (walk ons) were taken off their feet like stunt men are wired off a horse in the movies. The hitting was fierce, both sides made a big deal of pancake type wins, lots of group enthisiasm, and for the second time Turkovich and Brown got into it today. Yesterday Turkovich got Brown down and kept him down. They had to be separated. Some one else got into it, but I can’t remember. Like it or not, fights are an indication of physical play. Tenuta is just fantastic. No BS, no pretentiousness, just a gut busting, mother loving football coach who’s already made the LB corps tougher and more physical than last year. A lot of the time the LBs, vastly outweighed by the OL, more than held their own against the hogs in the nutcracker. I hope Brown leans a lot towards Tenuta’s blitz packages. It sure seems that he will based on the scrimmage today. More on that from Tenuta and his Xs and Os point of view has to come from Busco. I chose to go to Brown’s chalk talk vs Tenuta’s. Brown is one hell of a good man. It’ll be a shame to lose him one day. Easy to see why he’s such a good recruiter. One thing I saw Tenuta doing a lot of was bitching at and praising Scott Smith, more so than any player. Leads me to think that he see’s Smith as a big part of a rotation. Crum was more physical than I’ve ever seen him. Secondary gave up a few deep passes because of a lack of pass rush or the O’s play was ideal for the coverage. McCarthy, while no Bruton, will hit ya. Walls on an excellent read of his keys or a blitz looked really Willy Nilly on the tackle. He came back later and made a good hit. Overall… I feel a greater effort is being made by the whole team when compared to last year. The spirit is better, the physicality is better, the esprit de corps is better too. Charlie seemed to let Haywood run the show offensively without interfering. He puts a good deal of pressure on the kicker, Walker. No running if he made the FG at the end of practice, calling a TO to ice him and getting in Walker’s head. Walker missed. They all ran. After my subscription to Irish Eyes was ended this summer I did some debating on my next move. You see, I wasn’t too keen on the idea of MySpace.com buying Scout.com out and I started lurking over at Irish Illustrated. I was wowed by that evil temptress Ashley Carter and her evil Rivals minute. I saw a ton of video… and I wanted it. I wanted it all. The headlines were so enticing on the Irish Illustrated front page… “Master List: Offense” and so forth. I needed to know what that list was and it was denied to me a non-premium member. The Main Rivals page for recruiting and college football were the tipping point. So I quickly grabbed the credit card and purchased a year subscription. I was instantly gratified and thought I would think of you no longer. And then I started to notice some things that seemed… a bit odd. Where were the MAC schools? So I posted on the message board at II about the MAC. Oddly enough no one stepped up to the plate to answer me… no one. Isn’t there a Pete and Jack that impersonates Mike Frank on this site? That was just the tip of the iceberg. The message board is appalling. Posters are rude and unintelligent on football and how it is played. (There are some who are fantastic and it makes me wonder why they are even there). I am really unhappy and pissed off. I feel like I was cheated. I will not be renewing my subscription in a year with those imposter’s and will never doubt or leave Irish Eyes again (unless you do). If I can sneak a subscription in before my year is up with Rivals without my wife noticing, I will, but you know how wives can be. I received your e-mail asking why I did not renew and if there was anything you could do to sway me back. This is my reply: I miss you. I miss Irish Eyes and all of its wonderment’s that a premium membership to her site brings. I am sorry Mike. I miss you like a child misses its blanket. You are currently browsing the archives for the Mike Frank category.